Clifford Fuel Co., Inc. was founded in 1961 by Jack Clifford in Dolgeville, NY. Located in rural Herkimer County, the company supplied home heating oil, LP gas, farm gas and diesel fuel. They supplied five service stations with gasoline. The company had five employees. 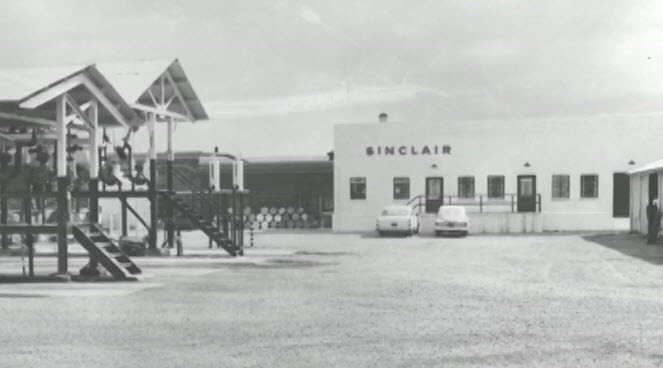 Clifford Fuel Co., Inc. moved the main office to Utica, NY in 1966 as a Commission Agent for Sinclair Oil and had the opportunity to grow the business by supplying gasoline, diesel fuel and lubricants to an increasing number of service stations in central New York. Clifford Fuel continued to grow during the 1970’s by providing stable supply and good service at a time when many suppliers had difficulty obtaining adequate supply due to the energy shortages and product allocations. Clifford Fuel diversified the operation in the 1980’s by owning and operating some of their own locations. Over the years the company has evolved their retail operation from small full serve gas outlets and convenience stores to new, larger convenience stores equipped with major food service operations of their own along with partnerships with both Subway and Dunkin’ Donuts. In 2017, the company operated convenience stores launched a new name and are now all operating under the name of Cliff’s Local Markets. Clifford Fuel has continued to be a family owned operation since its inception and is proud that a third generation of the family is involved with the firm. Jim Clifford is the President and has been joined by two of his sons in the operation of the company, Jim and Mike Clifford. The company owns and operates the Cliff’s Local Market convenience store chain along with a couple full serve pumpers and several car washes. They also continue to supply many locations owned by independent operators with gasoline and diesel fuel. Clifford Fuel operates its own fleet of delivery trucks throughout central and northern New York and markets Citgo, Sunoco and unbranded products to it’s customers. In business since 1961, Clifford Fuel has always taken its responsibility to support charities, community wide events, many worthy causes & organizations very seriously. Check out the live web cam with Northern Chateau!